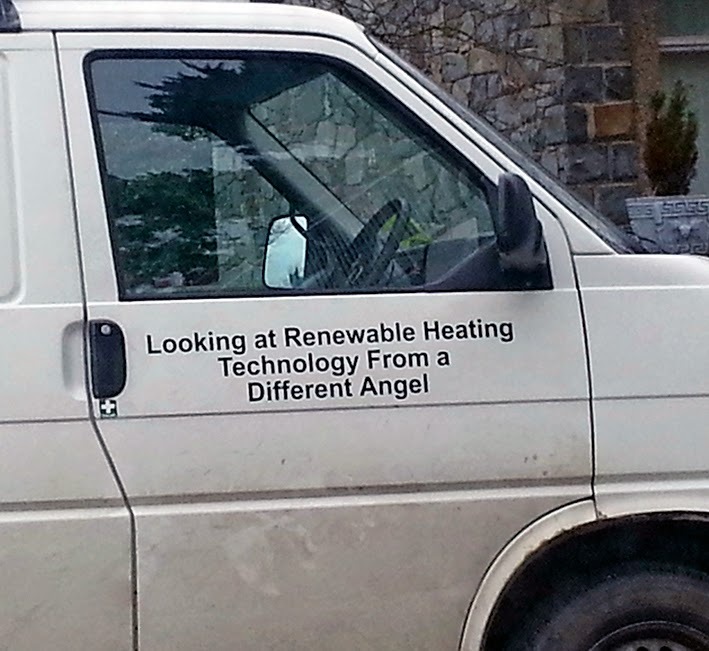 Angie J sees this van regularly on her travels in Mid Wales. Well that angle is certainly different. Then again, if it's really supposed to be Angel, I wonder who it means? It's certainly not the van driver. He's well known to Angie and, according to her, well, he's far from being one.